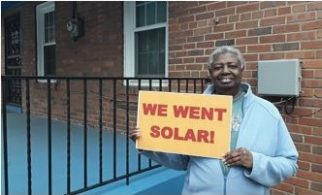 Shared solar programs, sometimes known as ‘community solar’ or ‘solar gardens,’ help address the physical and financial barriers of going solar for those who do not own their home or have a suitable roof, or who live in multifamily housing. 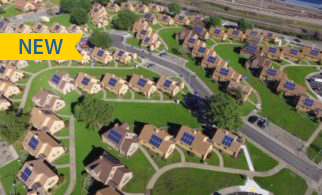 Shared solar programs allow multiple energy customers to subscribe or otherwise participate in a solar energy project located somewhere else in their community. Participants receive a credit on their utility bill for their portion of the clean energy produced. 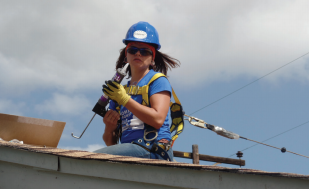 This model can help make solar more attainable for low-income customers for a number of reasons. 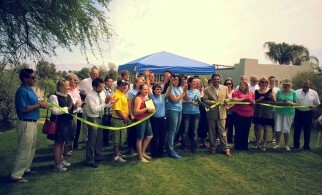 It provides renewable energy access for those who are renters or otherwise cannot host an onsite system. It can make the most of siting potential in an area to maximize production and lower costs. It can facilitate participation in smaller increments that might not be financially viable as a stand-alone installation, which in turn requires a smaller financial commitment. It can also make securing financing for projects with low-income participants easier due to the easy transfer of subscriptions. 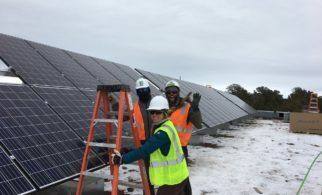 Community shared solar programs are being increasingly adopted by states and forward-looking utilities that want to connect more consumers with clean energy. Today at least 15 states and the District of Columbia have some form of shared solar policy in place, although their policy structures and resulting market impact varies widely. 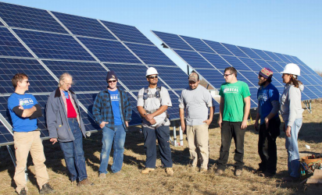 These early programs have shown the importance of establishing a bill credit that properly compensates the customer for the long-term value of the clean energy produced. Furthermore, this experience has shown that an explicit policy focus on serving low-income consumers is necessary for successfully expanding program reach to those communities at scale. Shared solar programs should expand access to a broader group of energy consumers than the current solar policies and market allow. 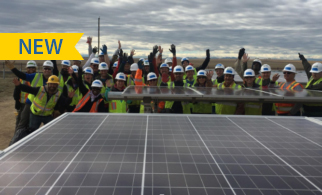 Participants in a shared solar program should receive tangible economic benefits, such as net metering credits, on their utility bills. Shared solar policies should be flexible enough to allow for different ownership and contract models to meet different consumers’ preferences and financial standing, such as an up-front payment model, a leasing agreement or co-op style ownership. Shared solar policies should be additive to existing renewable energy programs, not undermine them. Collaboration with local communities and organizations on siting to promote visibility and community connection. States and utilities should exercise caution against adopting shared solar policies that set targets for low-income participation, but that do not provide the additional support and incentives necessary to ensure the achievement of those targets (e.g. meaningful monthly savings for participants). This type of policy that lacks additional incentives is less likely to result in low-income participation and benefit.